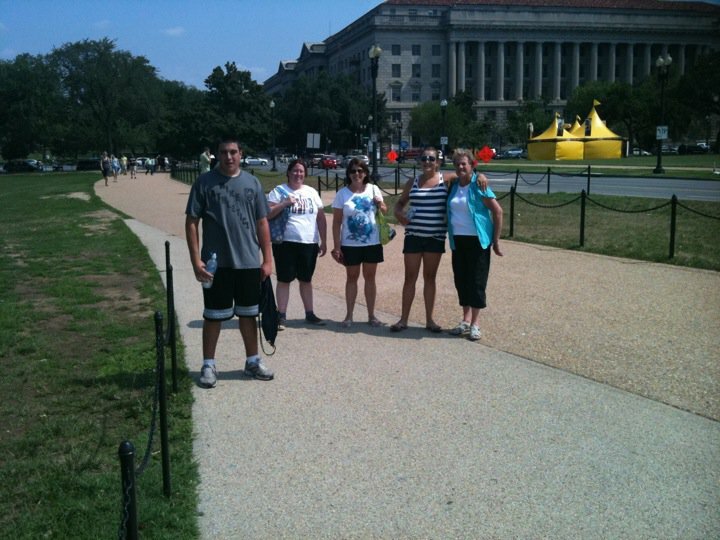 The visitors (left to right) my nephew James (15), my little sister Tree, my big sister Patty, my niece Kayla (13), and my mom Ginny, all came to visit DC for a long weekend. In addition to trudging around seeing the sights in the 97-degree heat (“Look! There’s the Washington Monument! There’s FBI Headquarters! There’s my out-patient rehab clinic! There’s the Capitol!”), I thought it would be fun to sample some of DC’s designer cupcake offerings. As you may know, the boutique cupcake bakery trend has hit DC with a vengeance and has shown no sign of slowing down anytime soon. We figured we could handle 4 different bakeries over the span of 4 days/3 nights. Not a bad price, but not a great one either. Service was no-nonsense, but felt a little rushed. There was a line and the space is rather small and awkward, which probably creates a need for staff to keep things moving, but the staff weren’t exactly warm and fuzzy. A smile would have been nice. You’re selling cupcakes, folks, not burial plots. Red Velvet Cupcakery has a good basic selection of cupcakes, including their signature cupcake the Southern Belle, a classic red velvet cupcake done just right. 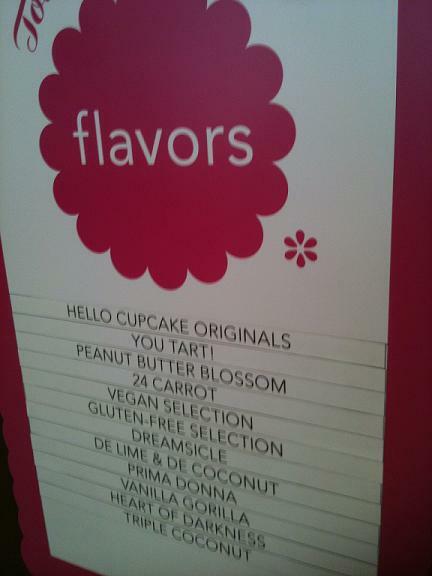 Other selections we tried include Peanut Butter Cup, B-Day, Black Velvet, and that day’s special, the Peach Cobbler Cupcake. A solid, reasonably-priced cupcake for the value-conscious snack-hound. We found all of the staff to be knowledgeable, super-friendly and well-trained. They kept the line moving along at a brisk pace, without making you feel rushed. Impeccable service. Special kudos to cupcake-packer extraordinaire Rob Dickers, whose hand is prominently featured in this cupcake-packing action shot. This guy is delightful, and a real pro! 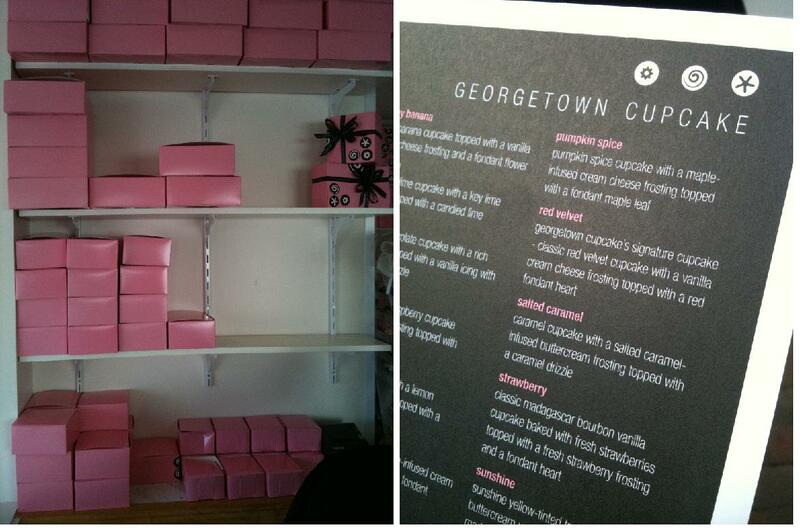 Georgetown Cupcake has a fantastic, extensive selection, certainly worthy of a 5/5 rating. However, the day we visited the availability was limited, and several of the selections we were looking forward to (including the Salted Caramel and the Peanut Butter Swirl) were simply not on the menu. We found that the menu on the day of our visit was rather mundane. In fact, there were no selections AT ALL with peanut butter, which I consider to be a major flub for any cupcake bakery, any day of the week. 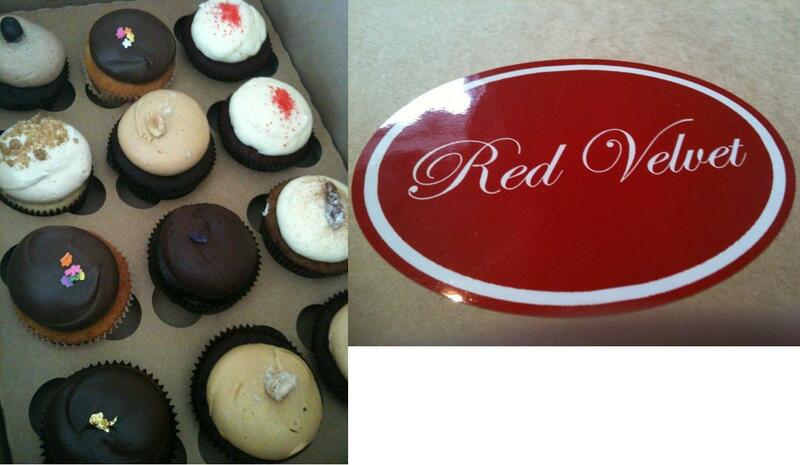 Selections we did try included the Red Velvet, Chocolate-Squared, Vanilla-Squared, Toffee Crunch, and Chocolate Mint. Average value, but would the cupcakes be above-average? Unfortunately, on this particular day, the service was rather indifferent and not very friendly. We were met with a very limited selection when we visited. We were told that more cupcakes would be available later in the day. (Again, no peanut butter!!!) Luckily, we were able to snag the very last Vanilla Gorilla (banana cupcake with vanilla frosting), which had come very highly recommended. 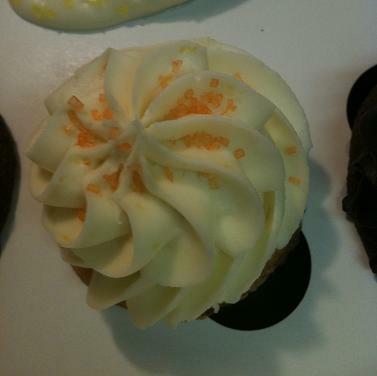 We also grabbed the Dreamsicle (orange cupcake with vanilla cream filling and orange buttercream, pictured), You Tart (lemon cupcake with lemon cream cheese icing), and a couple of HC Originals (think basic vanilla and chocolate combinations). In all, the selections were not diverse enough to excite these experienced chow hounds! Comments: Aside from the exceptionally good Vanilla Gorilla (they got the banana cupcake JUST right), we all agreed that Hello Cupcake’s offerings, while good, were not great. One taster commented that they were almost like – gasp! – supermarket cupcakes. 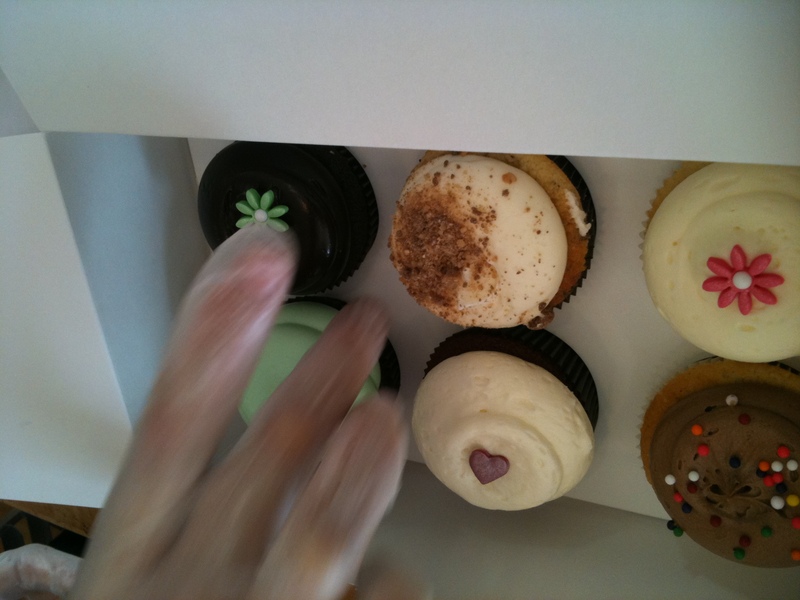 With such heavy competition here in DC, Hello Cupcake did seem to fade into the background a bit for this group of tasters. 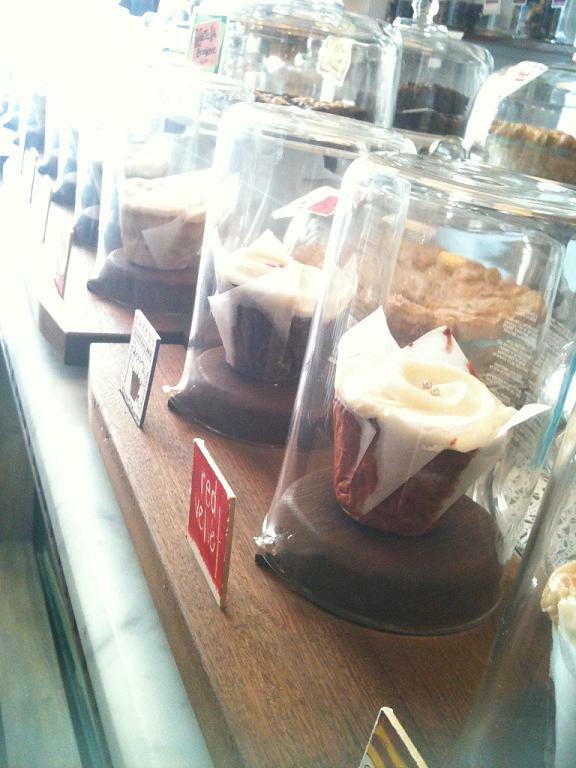 However, kudos go out to this bakery for offering both a gluten-free and a vegan selection every day. A bit spendy, but in all fairness the cupcakes are a bit bigger that the competition. A neighborhood style and a homemade look of all the baked goods gives this place a special kind of vibe that makes you want to stay and hang out for a bit. We interacted with three different staff members and they were all super-charming. Comments: Baked and Wired was not originally on my short list for this cupcake sampling, but after the uproar among my friends, I had to add it to the itinerary at the last minute. (This was not such a big deal, since it’s only a few blocks from Georgetown Cupcake, and as we know, the parking gods were on my side with this endeavor.) This place has a loyal and vocal following, and with several of my friends insisting they offered the best cupcake in town, I knew we had to check it out. The cupcakes are the biggest I’ve seen, and we were the most excited about trying these selections compared to the other contenders. In fact, Tree and Kayla and I had driven over to pick up the cupcakes and we were tempted to pull over and eat them in the car. We were going to come home empty-handed and tell the rest of the family: “Mayor Fenty has called for a city-wide moratorium on cupcakes until the City Council agrees on a budget for the fiscal year!” But in the end we agreed that even though Ginny and James might buy this ridiculous story, Patty would never fall for it. Baked and Wired cupcakes definitely had a homemade texture and flavor. However, some of the comments on the icing indicated that it might be “too sweet.” We were disappointed to find that the Unporked Elvis cupcake was really just a mundane banana bread, and the peanut butter icing left a lot to be desired. However, we could tell that this bakery uses high-quality home-style ingredients, and they accomplished a taste just like homemade. 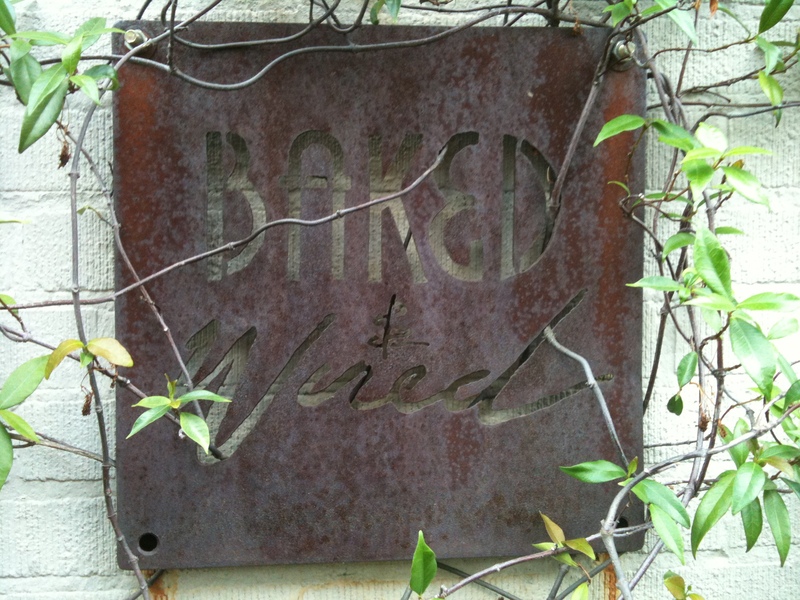 In all, Baked and Wired really is delightfully different than the other places. Overall Winner of Spice Boy’s Best in DC: Georgetown Cupcake ~ Great textures and flavors, high-quality, gourmet ingredients and special fondant toppings and touches gave Georgetown’s flagship cupcake bakery an edge over the rest. Runner-Up: Red Velvet ~ Penn Quarter’s stately southern-style lady is not to be missed. Moist and light cakes and fluffy frostings made this contender a very close second place! Honorable Mention: Baked and Wired ~ Even though this bakery wasn’t really in the running with the others in terms of overall cupcakes, their imaginative flavors and neighborhood vibe made them worthy of a special mention and definitely another visit. I can’t wait to try their biscotti, too! The longer I’m around, the surer I am – family is what it’s all about. Throw in a few baked goods, and things just don’t get any better! In the end, does it really matter who has the best cupcake? Nah! The fun is all in the sampling and spending time with your peeps. Enjoy life!